When was the last time you had your heart melted? When I began to learn some of the stories of the Karen people who are now attending our church, I knew God wanted me join Him to help these precious adults and their children adjust to a new home. What I did not yet realize was how much God was going to use them to bless MY life. Abundant living is found through loving and serving God and people. When I witnessed a Karen father wipe tears from his eyes as he met his own daughter’s teacher at the school’s Open House, I was reminded how blessed I am that my children could get an education. Meanwhile, I am continuing to relive the joy I experienced watching my boys play on sports teams as I watch the Karen children excel in soccer, form relationships with coaches and players, and chatter excitedly about their experiences. My hearts continues to melt as I am given hugs around the neck, waist, and legs. Do you want to make a difference in the lives of refugees coming to our area? Visit http://www.becauselovedoes.org to find out out how. We have two weeks left for you to sign up to make a commitment to fight HUNGER in our area through our year long mission trip into our community called KOG2ILM. There are many opportunities available for you to say yes to making an impact to alleviate hunger insecurity for adults, families, kids and the elderly in our community. Would you consider making a high involvement lasting impression in the area of Hunger? This “all in” commitment will allow you to build relationships through a deeper time investment while helping to feed those who are hungry in our community. Food Insecurity is the state of being without reliable access to a sufficient quantity of affordable, nutritious food. Food Deserts are geographic areas with a high concentration of poverty where residents’ access to affordable, healthy food options (especially fresh fruits and vegetables) is restricted or nonexistent. (Food Empowerment Project). There are 7 food deserts in our area. In Wilmington alone, 16,000 people in our area live in food deserts. Expanding my Bubble…. I’ve lived in Wilmington for 4 years, and until recently, I had never been to certain areas of town. I’ve simply had no reason to be there. For convenience and efficiency, I’ve operated within my own “bubble” — darting out here or there as needed for some specific reason. For me (and probably many of my friends and neighbors) my bubble doesn’t include the Creekwood Community near 30th & Emory or the Hillcrest community near Dawson and 14th… areas of Wilmington that, statistically speaking, are struggling. Through #KOG2ILM and Rev. James Jamison’s Boots on the Ground initiative (more on that below), our Vineyard Sunday School class has pushed out of our respective geographic and social bubbles to meet, feed, and develop relationships with people in Creekwood, Hillcrest and other faith communities that don’t necessarily look like the folks sitting in the pews with us on Sunday morning. And while we’d like to think our actions with Boots on the Ground are beneficial for the people we’re serving, I think it’s important to note we’re not on a one-way “giving” train. Everyone in our class would agree that we’ve gained something, too. Our lives are richer, our perspectives have expanded, and our families & faith have been strengthened. While we’ve only participated with BOTG for a couple of months now, I think the message we hope to convey is simple…It’s “We see you. We care enough to come where you are. We are in it together.” And most importantly, “There is hope in God. My bubble now includes Creekwood. My hope during the remainder of #becauselovedoes, is that every person at FBC will bravely and eagerly search out opportunities to expand their own bubble in whatever way God leads. A few months ago, FBC members participated in a prayer walk around our church to focus on specific areas of brokenness in our city. Our Sunday School class, the “Vineyard,” felt called to action, specifically to help with children facing hunger. Scott Burrell took the initiative, and Pastor Jim Everette put him in touch with Rev. James Jamison. Reverend Jamison is a chaplain with the Wilmington Police Department, pastor of Hope Baptist Church and primary founder and organizer of “Boots on the Ground,” an interdenominational group who goes into areas of the city that need it most to provide a meal and caring presence, typically once a month. The Vineyard class has teamed up with Jamison’s group for 4 events now, including an Interdenominational Back-2-School bash where we, along with numerous others, served up over 3000 hot dogs at the Martin Luther King Jr. Center one very hot Saturday in August. Our second mission trip stop in our community will be in the area of HUNGER. LOVE DOES is a two-year missional journey into our community that we are taking together. As a congregation we want to discover how God wants to use the best of who we are, as individuals and as a church, to meet the deep needs in our community and in our world. We’re calling this “Love Does” because love does change everything. What takes a hurting world and replaces it with hope and possibility? Love does! Love isn’t just a feel-ing, it’s a do-ing. And love doesn’t just change the world, it changes us, too. Education, Hunger, Refugees, Homelessness, and Incarceration – you are invited to Pray, Learn, Do and Reflect on what we are being called to do to bring the Kingdom of God to Wilmington (KOG2ILM) in these areas of brokenness. North Carolina is one of five states with the highest rates of people who struggle with food insecurity. But we are followers of a savior who is capable of taking what we give him and using it to feed the multitudes. The low involvement is a mission opportunity that everyone can participate. The medium involvement is a mission opportunity with a time commitment and deeper participation. The high involvement mission opportunity is an “all in” commitment to build relationships through a deeper time investment. 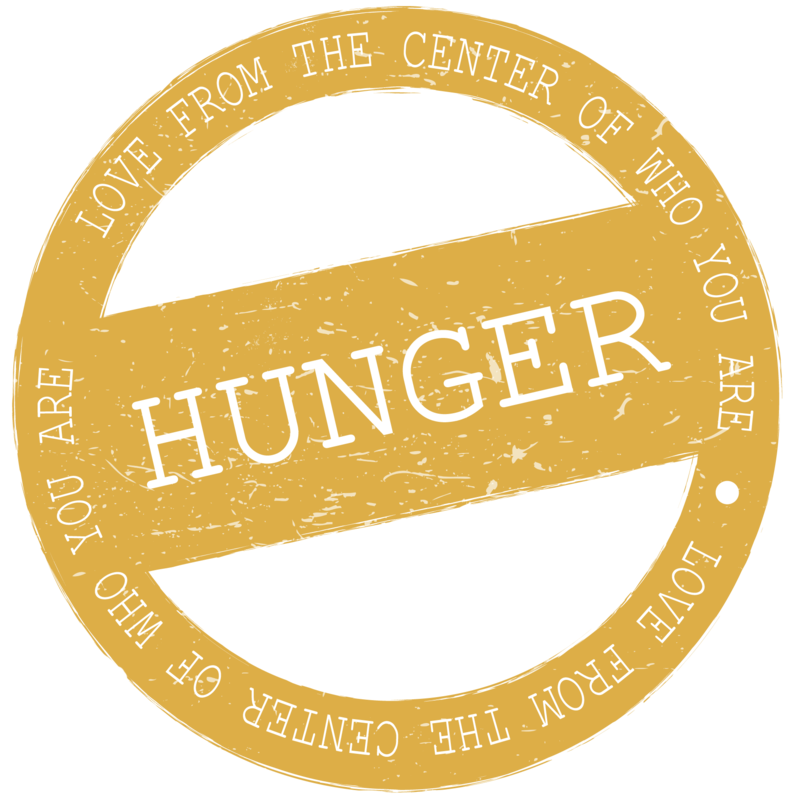 ARE YOU READY TO LEARN MORE ABOUT HUNGER? LET’S GO CLICK HERE! I felt the call on my life to work with people I will identify as the “underdogs”, when I was in college. These are individuals who struggle with physical and/or mental challenges on a consistent basis. I double majored in Psychology and Recreation Therapy in response to that call. I worked in psychiatric hospitals providing therapy and support to those who faced mental and psychological struggles after graduation. After twelve years, I began to feel the call to use my knowledge and gifts in a different direction, the field of education. I returned to school and earned my teaching certificate in Special Education. I had worked primarily with adults in my career as a therapist but felt I could have a greater impact if I intervened earlier. I could do this by working with children and their families. God prepared me for my current mission. I taught for five years in a traditional public school and worked with children who had a variety of learning needs along with some environmental factors that negatively affected their school experience. Then, I was given the opportunity to transition to teaching exceptional children at a new alternative school with a day treatment component that serves students who have mental health diagnoses. It became clear to me at that time that God’s plan for my career had come full circle. God had prepared me not only to work with students with special needs but also those with mental health challenges. This is my tenth year teaching in this capacity. Students that attend our school have a difficult time navigating life. They carry the baggage of sickness, hunger, homelessness, poverty, foster care, incarceration of a parent, physical, sexual, and/or emotional abuse or neglect, and inappropriate role models in the home environment. Most of them enter the doors of our school with little hope. It is no wonder these students have been unable to fully access and embrace the academic instruction provided to them throughout their school experience. Few of our students get excited about getting school vacations because it is difficult for them to face life outside the care and consistency of the typical school schedule. I have the blessing of being in the bi-vocational role as both educator and missionary. The bible tells us in Matthew 5: 13-14 to be salt and light to those around us. I offer light by helping students feel safe, loved, and cared for while they are at school. I instill hope in them as they experience growth and success with academics as well as overcome personal challenges. The goal of my colleagues and I is to help our students recognize they have value and worth and deserve respect. We challenge them to think beyond their current situation of which they have little to no control. Our school adopted a “Growth Mindset” culture this year. It emphasizes the importance of students giving their best effort, demonstrating perseverance, recognizing failure as the first step to success and simply saying, “I can’t do that, yet.” We instill the importance of striving toward a goal and accepting assistance when needed from others without giving up. We have a gifted staff with a heart for each student. I see evidence of this every day. In addition to the traditional academic disciplines, we provide therapeutic gardening, Yoga instruction, social skills lessons, as well as individual and group therapy in order to meet the needs of our student population. We have no more than eight students per class so each student receives the individualized attention they need and deserve. We utilize a school wide behavior plan that requires students to reflect on his/her behavior with an instructor throughout the school day. This teaches the importance of personal goal setting, acceptance of rules and limits, consistency, and accountability in striving for success. We provide field trips to broaden our students’ experiences of life beyond their neighborhood. This school year we have partnered with two churches and a fraternity at UNCW. To encourage students and staff they provide mentoring and tutoring as well as other needed resources. Every day is a challenge for our staff and students. I believe the Lord has placed me in this mission field for this season of my life. I will continue to plant the seeds of light and hope and tend the garden one day and one life at a time. Within fifteen minutes each of these requests were filled with generous folks willing and ready to answer God’s call. So how about you? Have you wanted to plug-in but not sure if you’ve missed the boat? Don’t ever doubt God’s timing – there’s always room for you and there’s always a need that needs to be met. To God be all the glory- great things He has done! As I start my 39th year of ministry at First Baptist it might seem that nothing new could be done. How big God is should never be doubted. What God has in store for all of us should never be questioned. These past few years have been amazing with the new work that God has allowed me and First Baptist to join Him in. Five years ago there were no Burmese Karen Refugee ministry and only a very limited college ministry. God has opened the door wide in these two areas of mission work and it has filled me and many First Baptist members with so much joy and purpose. The last two nights were very exciting for GPS, the college ministry of First Baptist. Earlier this semester at UNCW, over 247 college students filled out “I am interested in missions” cards at the UNCW Involvement Fair. GPS stands for Go Passionately Serve and First Baptist’s GPS had a booth at the Involvement Fair. Already this year, 54 UNCW students have helped serve meals at our Tuesday night Feeding the Homeless Ministry, 34 students have help our Burmese Karen Refugee children and teenagers with their homework on Wednesday night during CrossTraining, 62 came to our GPS Masonboro Island kickoff cookout Adventure, and 26 have come to our Sunday night Bible Study/Worship nights. It has been very exciting to see these college students serve God by following Jesus example of welcoming the refugees, feeding the homeless and worshiping God. This past week a great group of 35 GPS students not only fed the homeless on Tuesday night, but went around to their tables, sat with them, listened to their stories, asked for their prayer requests and needs. After all the tables and chairs have been packed away, we had a tremendous prayer circle and it was very moving to hear both the GPS students pray but also several of the homeless men join our prayer circle and pray with all their hearts. The very next day at Wednesday’s CrossTraining, a group of 34 Burmese Karen Refugees children and teenagers were joined one-on-one with 21 GPS students to help them with their homework. We have several Karen refugees who have just come to Wilmington this summer and are beginning from “square one” learning English and doing their homework. Watching these pairs of children who for many were living in Thailand in very poor living and educational circumstances only six months to two years ago, and GPS students from UNCW, studying, reading, and laughing together is terrific. An added blessing this year that God has provided is a new GPS college students who was a 1st grade refugee from Vietnam when she came to America 12 years ago to settle with her family of mother, father and seven brothers and sisters in the Greensboro area. “Ra” is a student at UNCW and signed up for GPS at the fall UNCW involvement fair. She came to help one of the Burmese families who has two teenage girls move into a new apartment, setting up their beds, arranging their bedroom furniture and clothes. Ra also went shopping with one of the 15-year-old Karen girls to pick our a new dress to wear to a recent Burmese wedding that was held at the Activities Center. It will be an amazing example for all of our Burmese Karen kids to see Ra who came to USA just like them when she was a child and now is a student at UNCW. God is truly doing IMMEASURABLY MORE in the lives of both the Burmese Karen children, teenagers, mothers, fathers and the lives of our GPS students from UNCW.